The Maine-Endwell name and logo, our Spartan, are a part of the district's brand, which defines who we are and sets us apart from other school districts. It is important to adhere to the proper use of the district's graphic guidelines, in order to maintain a consistent and unified brand. Proper use of the district name, logo and font are outlined in our Graphic Standards Guide. It is available here for reference, or download. We have also provided the various Spartan logos for our community members to use. If you have any questions, please contact Maine-Endwell Public Information Specialist, Brenda Potsko, 607-754-1400, ext. 2335, or bpotsko@me.stier.org. 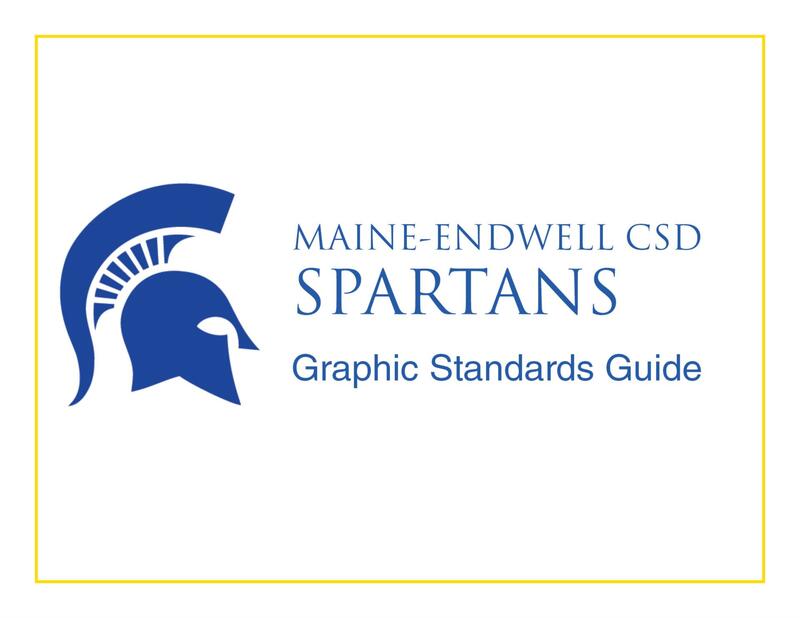 Click on the image to download the Maine-Endwell Graphic Standards Guide. These are the approved Maine-Endwell logos for district and community use. Please refer to the district’s Graphic Standards Guide for more information. Please contact Communications Coordinator Brenda Potsko, if you have any questions, bpotsko@me.stier.org or 607-754-1400, ext. 2335.